Kidde Fire Alarm Bells are diode polarized, vibrating bells designed for use with fire alarm applications. The gongs are made of selected alloy steel to sound the loud, resonant tone required in fire alarm systems. Two gong sizes are available to overcome different ambient noise level. 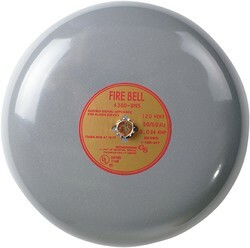 The Fire Alarm Bells are of the underdome type with heavy duty mechanisms. Each bell is supplied with a mounting plate that fits any standard single-gang opening (see Installation Data). For weatherproof application Kidde offers an optional surface weatherproof back box. 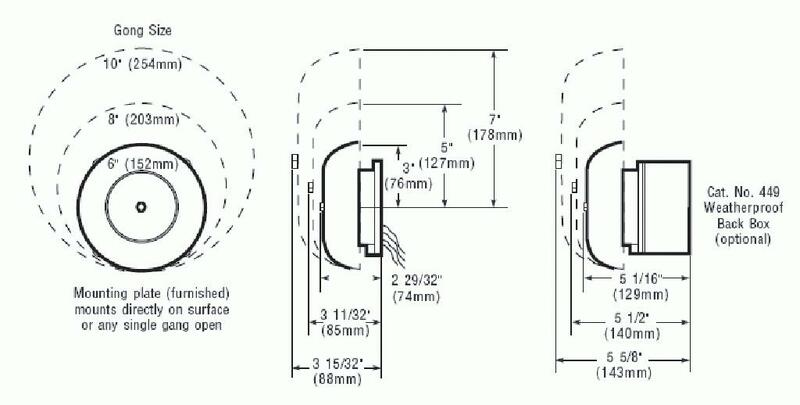 Supplied mounting plate installs directly on surface or on any single gang box, or on any 3 1/2" (89mm) or 4" (102mm) octagon, or 4" (102mm) square electrical box.